AstraZeneca’s new respiratory syncytial virus therapy MEDI8897 is set for a rapid regulatory review on both sides of the Atlantic after reporting positive mid-stage trial results. In Europe, MEDI8897 has been given PRIME status by the EMA, while the long-acting anti-RSV antibody has picked up a breakthrough designation from the FDA in the US. Both are given to drugs with the potential to significantly improve patient treatment, and provide enhanced regulatory support designed to accelerate the review process. The new designations have been awarded on the strength of top-line data from a phase 2b trial of MEDI8897 which showed the drug was able to achieve a significant reduction in lower respiratory tract infections caused by RSV for 150 days after dosing in healthy, preterm infants. The FDA had already given the drug fast-track status, cutting its review time down to six months. MEDI8897 is a longer-acting follow-up to AZ’s Synagis (palivizumab), which is currently the only drug approved for preventing RSV in high-risk patients. Synagis has been a nice earner for AZ, making almost $700m in revenues in 2017, but has started to feel the effects of generic competition in some markets and has declined from its peak of around $1bn a year. With MEDI8897, AZ and its partners for the drug – Sanofi and Swedish Orphan Biovitrum (Sobi) – have the opportunity to open up the RSV prevention market beyond high-risk patients, as its extended half-life means it can be administered less frequently than its predecessor, possibly just once at birth and seasonally thereafter. 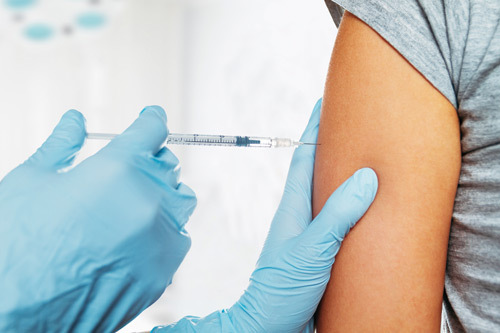 That duration of action means it has a vaccine-like profile, which was why AZ opted to partner with Sanofi, a vaccine specialist via its Sanofi Pasteur division. Sanofi paid €120m upfront for a share in MEDI8897 last year with another €495m in development and sales milestones. RSV is the most common cause of acute lower respiratory tract infection in children, with around 2.5m cases each year in the US that are serious enough to warrant medical intervention. At the moment the only way to manage the infection is prevention, as despite years of R&D there are no approved drugs to treat RSV once established. RSV infections represent a substantial burden and is estimated that around one in five infants under the age of six months require medical attention for RSV annually. MEDI8897’s closest competition in the race to bring a more widely used RSV preventive to market is Novavax, which has a vaccine candidate in phase 3 testing that is designed to be given to expectant mothers in order to provide indirect protection to their babies. Analysts have predicted that could become a $2bn product. Novavax also has directly-administered RSV vaccines directed at older adults and children in phase 2 and phase 1 development, respectively. Another rival, Regeneron’s antibody suptavumab (REGN2222), was dropped from development in 2017 after a late-stage trial failure. Analysts at GlobalData had previously said that antibodies such as REGN2222 and MEDI8897 could help grow the RSV prevention market to $2.3bn in seven major markets by 2024.